Bubbly is synonymous with the upcoming party season and what better than a Welsh sparkling wine and a gold medal winner at that. 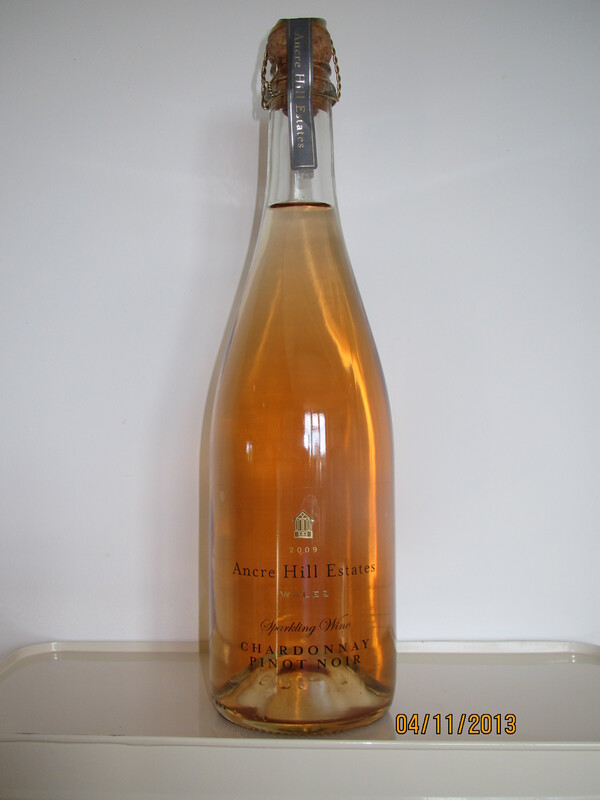 The inaugural Welsh Vineyard Association awards were held recently, I’ll feature them later in the month, and Ancre Hill’s Sparkling Rose 2009 came out on top. We’ve already tasted their Chardonnay, now for their brut (dry) sparkling rose made from two-thirds Pinot Noir and one-third Chardonnay grapes. This entry was posted on 05/11/2013 at 21:22 and is filed under Drink of the month, Wine. You can follow any responses to this entry through the RSS 2.0 feed. You can leave a response, or trackback from your own site.